Gas Plumber Denver Colorado | The Gas Connection Inc.
Gas plumber in Denver Colorado serving most surrounding mountain communities. Natural gas is one of the cleanest and warmest types of fuel available. It works evenly well, indoor and out, for HVAC systems, water heaters, furnaces, ranges, fireplaces, fire pits, grills and other things that can use a safe, economical source of fuel. For some, there is nothing more exciting that installing an outdoor bbq, fire pit or patio heaters. This makes it possible for you to enjoy your outdoor area, year round, with friends or family. When the fuel is gas, it’s economical and easily controlled. The proper installation of a natural gas line is essential for these things to work properly. At The Gas Connection, our licensed and certified gas plumbers not only hook up these types of outdoor units but install gas lines, repair leaks, hook up appliances and size gas connections. Repairing a leaking gas line is essential to prevent a serious accident. The first sign of this problem is usually the smell. All natural gas has a harmless chemical called Mercaptan, which smells like rotten eggs, added to make it easy to detect a leak. When you smell this odor it is time to call for help and leave the premises. At The Gas Connection, a gas plumber will test the entire gas system, both in the yard and in the house. If necessary, we can take the gas line apart and test for where the gas leaks are. We can quickly locate the problem and recommend the correct method of repair. Many times this can be done with very little interruption in service. As a Denver gas plumber, our installers have all been trained to work on natural gas lines. 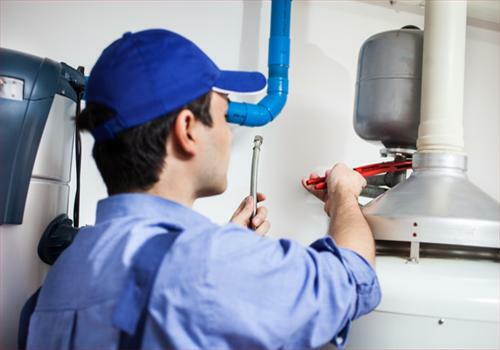 This means, whether you are residential, commercial, or a multi-unit complex, you can feel secure in having one of our gas plumbers work on your property. Our installers do more gas lines in a month than most people do in a year! Gas lines are what we have specialized in for over 37 years. Incorporated in 1980, we are proud of the many satisfied customers we have had over the years and the excellent reputation we hold in the industry. We work diligently to make sure the gas line installations we do are timely and cost effective, which we feel is equally important with small residential jobs as well as large commercial ones. We are proud of the fact that we cannot only install gas lines but take part in the design as well. This has worked well for homeowners who are looking for an installation of superior, yet economical, natural gas pipelines and hookups. At The Gas Connection we concentrate on providing good natural gas installation and service. Therefore, we do not sell products but are happy to install them after you have made your purchase. If you have a need for a natural gas plumber in Denver or just have some general questions, give us a call today at (303) 466-4206, we look forward to hearing from you!